Reading about the battles of the First World War in a musty textbook is one thing; discussing it as you as you stand on the spot where it all unfolded is another. And that’s exactly what we’ve been doing these first few days in France. 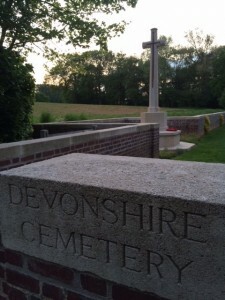 While it’s been getting easier and easier to grasp the chronology and the details of the battles we’ve been looking at, I’m still struggling to wrap my head around the everyday experiences of the Canadian men and women who served here in France. 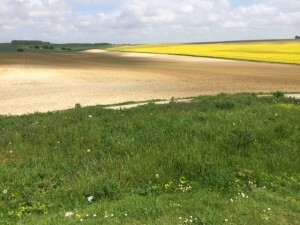 As we drive through the tranquil French countryside, it’s hard to imagine that one day, not so long ago, the rolling canola fields and blue skies were filled with zigzagging trenches, muddy soldiers, and the incessant din of battle. Today began and ended with two stops that raised even more questions for me about what it must have felt like to fight on these very battlefields. What were the thoughts, motivations, and fears of each soldier? We began at the Wellington Quarry, where large sections of the tunnels dug by the British Army, particularly the New Zealand Tunnelling Company, have been preserved. The tunnels connected original chalk quarries beneath the city of Arras, and were used by the Allied forces during the Battle of Arras in April of 1917. We walked through tunnels named after the cities in Australia and Britain, past etchings in the walls of soldiers’ sweethearts back at home, and up the very stairs that some of the 20,000 men had climbed out of at 5:30am on the morning of battle. 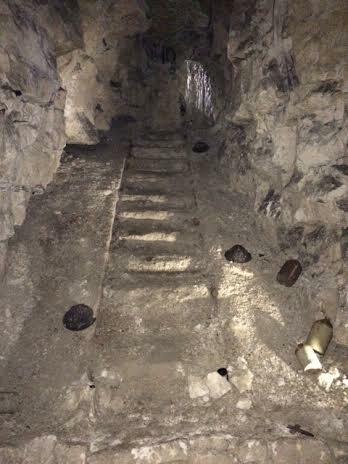 It was hard to fathom what they must have felt as they prepared to storm the German trenches, just as I struggled to imagine the conditions that the men survived in underground during the days leading up to the Battle of Arras. Where did they find the physical and mental strength to go on? Hodgson only lived to see one more sunset before he died on the morning of July 1st at the Battle of the Somme. 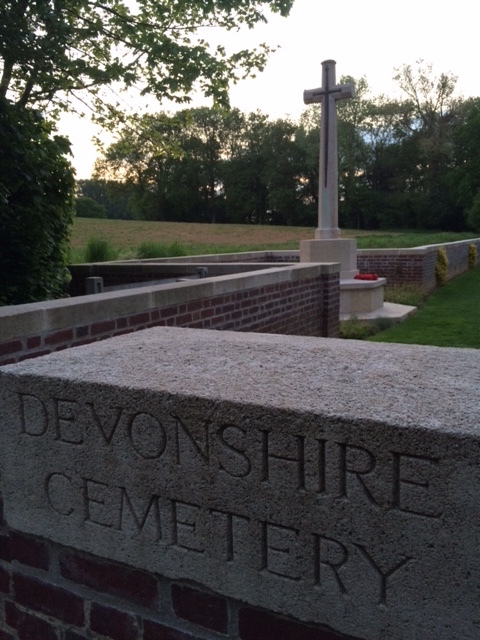 He, along with 160 of his comrades, was buried in the Devonshire cemetery. His last written words are haunting and speak to the fact that many soldiers had reconciled themselves with the inevitability of death. Hodgson’s poem certainly provides a raw portrait of the destruction and loss that soldiers faced. 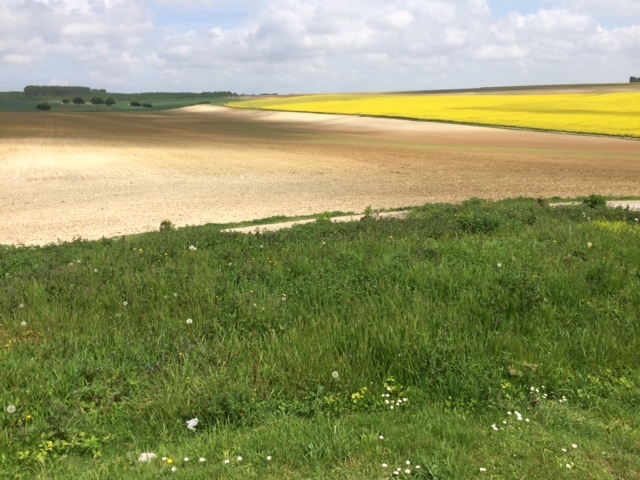 Though I don’t think I’ll ever quite be able to fully grasp the personal experience and toll of war, each day I spend on the battlefields brings me a little bit closer to understanding the experiences of men on the front lines in World War I.